Libby has an uncanny ability to heal the odd ailment, but her gifts go much further than she could possibly imagine. When she starts dreaming "as Lucifer," her life takes a sharp nosedive into the strange and unusual. Lucifer and the other angels are content with their lots in life until God announces plans to move forward with an apocalypse. Without purpose, angels are lost and destroying humanity can't be Lucifer's purpose. An unconventional witch, her long-dead ancestor, and a rag tag team of angels and demons must work together to stop the apocalypse in a paranormal suspense novella heavily influenced by Dante Alighieri's Inferno. They call her Miss Retribution, and for good reason. Revenge has never been sweeter. 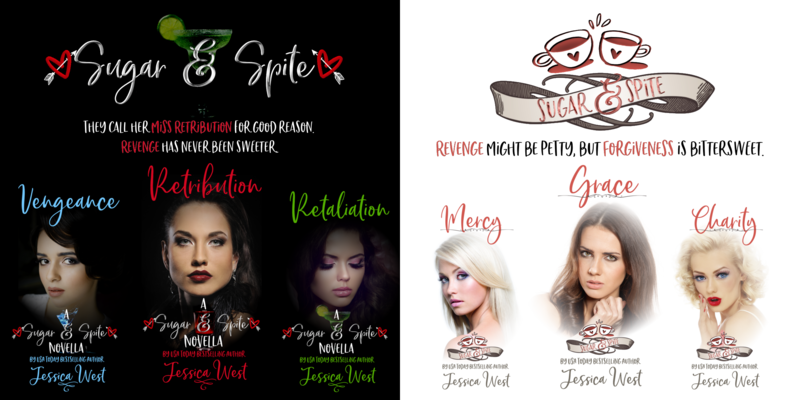 I want to receive emails about the Sugar & Spite series and other new releases by Jessica West. I understand that my email will be used by Jessica West for promotional purposes and that I may unsubscribe at any time. You have successfully joined our subscriber list. You'll be among the first to read new stories. And you'll get sneak peeks behind the scenes! Revenge may be petty, but forgiveness is bittersweet.